Fun for all ages. 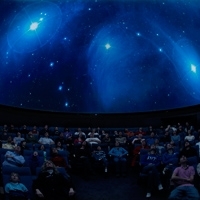 Grades K-6 will enjoy the planetarium show Family of the Sun, then have lots of time to explore the museum. Grades 7-12 will start with the Discovery Experience Stellar Forensics before exploring the museum exhibits. The cost is $7 per person ages 3 and up; ages 2 and under are free. I will need a few moms willing to be chaperones. Each Chaperone must be able to play an active role in supervising the students, not just your own children. Just indicate, for now, if you are able and willing to fill this role. Join us for an activity filled afternoon with friends! We will get together at the park to play a variety of field day type of games. Bring a healthy snack and lots of water to drink. Please register the number of children participating. Join us as we celebrate the close of our group year. We will watch a photo show of group events and hand out participation certificates to the children. Afterwards, we will enjoy some ice cream sundaes! We will also have on display: art from Art class, and photos from the Photography class. The dance class will also present a dance, and the LEGO class will display some of their creations.